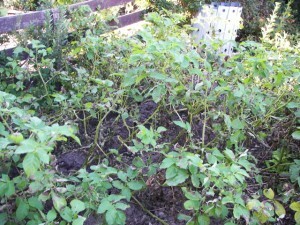 You are here: Home › Gardening › My potatoes! They have the blight! My potatoes! They have the blight! 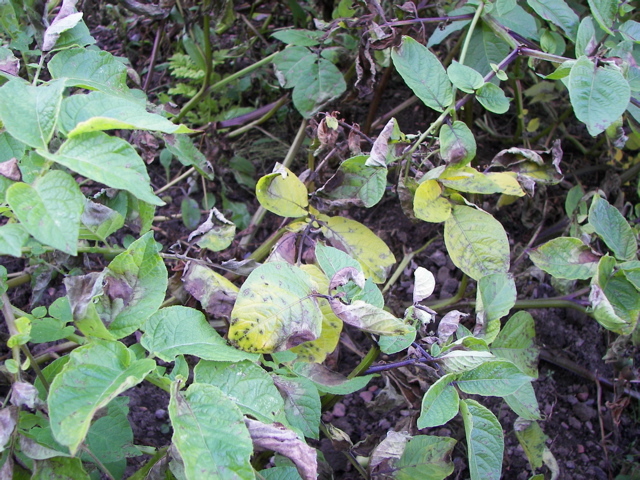 Over the last week the rich green leafy stand of potato plants has become corrupted by blight: first just a few spots, but within days leaves were rotting and stems falling over. I blame Maris Piper. 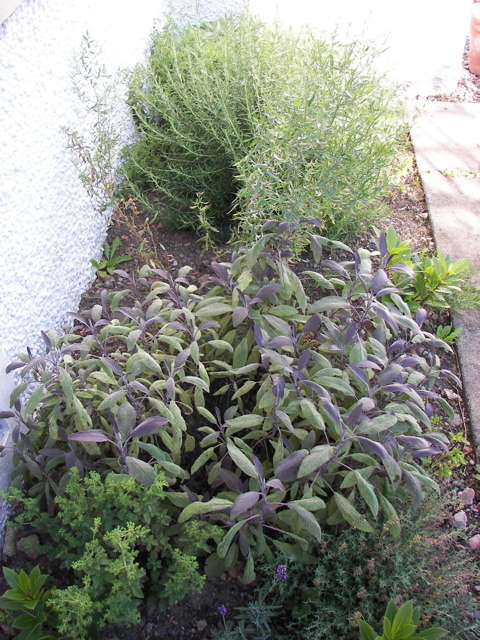 The other, speciality, varieties (Salad Blue and Pink Fir Apple) didn’t seem as badly affected, and might have resisted altogether had Maris Piper not been incubating the disease right next to them. My potato patch, looking a bit the worse for wear. I don’t know for sure where it came from. We’ve never grown potatoes in the ground in all the years we’ve been here, and only once, in the first year, did we grow them in barrels, and they didn’t get blight then. I’ve cut all the stems down to the ground and packed them up in an old 1-tonne bag prior to burning at some point when we get a moment. I’ll have to dig up all the potatoes pretty soon. 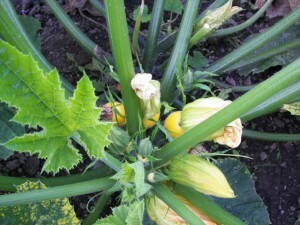 I was hoping to space the harvest out a little more than that, but I suppose we’ll just have to cope. Still, we have lots of family to give potatoes away to. 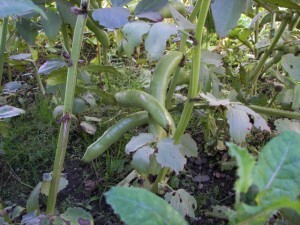 Other crops are actually doing quite well now, despite my moan of a couple of weeks ago. We have a lot of beans, even if they are only from the bottom half of the plants, and the first courgettes are almost ready. The broccoli not to wait till the spring to start flowering, so we have some of that as well! 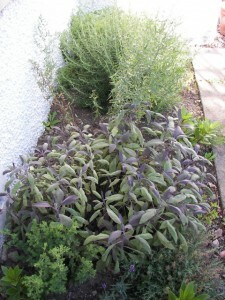 And we have a lovely herb bed. I’m a bit puzzled by our apple tree though. 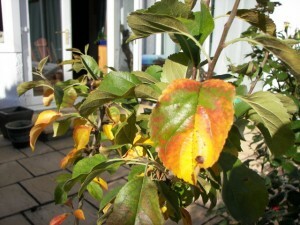 This is one of a set of patio fruit trees we bought in the autumn. I don’t know whether it’s caught a disease or whether it just thinks it’s autumn already, but a lot of the leaves are going yellow. Any ideas?